Hey, I Know that Photo…. 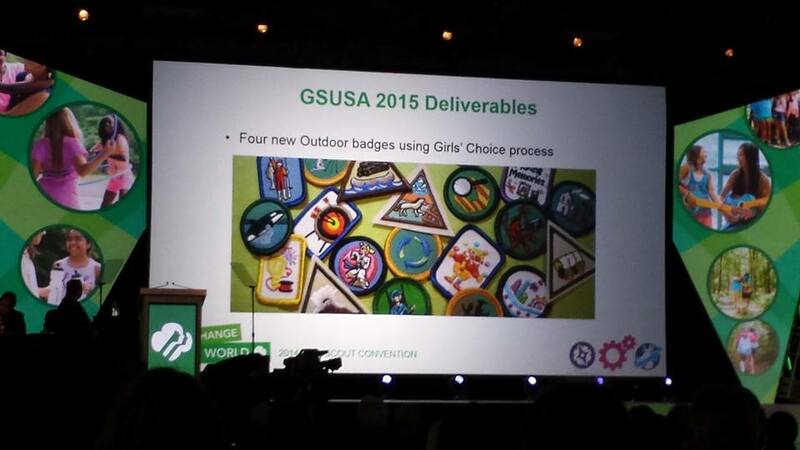 GSUSA announces new outdoors-themed badges for 2015. Photo via the Outdoor Journey Project Facebook site. Those aren’t NEW badges. Those are old Council’s Own badges. How do I know? Because I took the photograph months ago. It appeared here in a post in May 2014. Photo I took and published in a May 2014 blog post. I guess someone at GSUSA reads the blog. 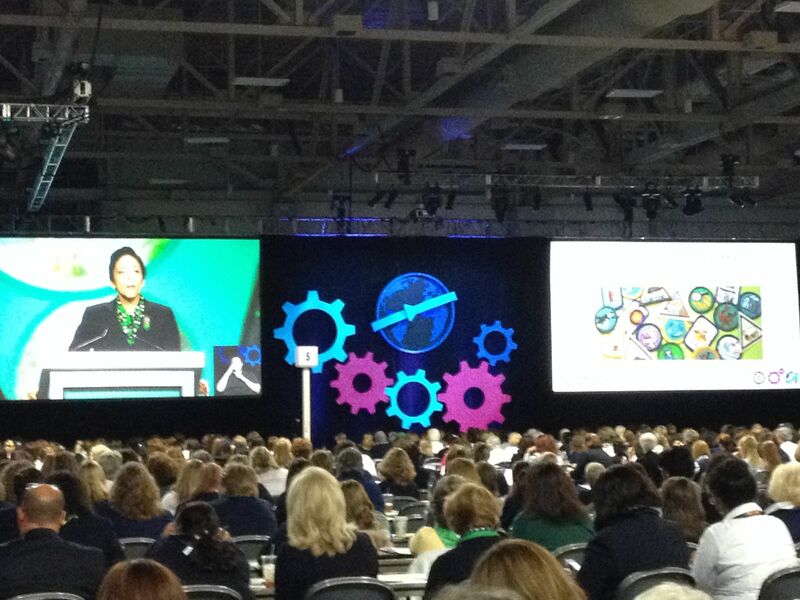 This entry was posted in Badges, Conventions, Program and tagged #gsc2014, Girl Scout convention, Girl Scouts, GSUSA, National Council Session, Outdoor Journey Project. Bookmark the permalink. I really enjoy reading your blog posts, but was not able to view any if the pictures this time on my iPhone. Thanks Connie. Try viewing online. I think I need to adjust some setting for better viewing in portable devices.